Stuck for something to keep your other half quiet this Christmas? Local author Danny Bernardi recommends a few books by local writers, most of which are set right here in the second city. All novels, no Alton Douglas, guaranteed. 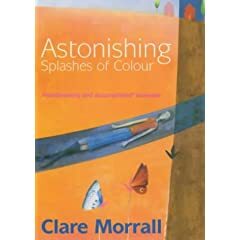 This one is published by Birmingham’s well respected Tindal Street Press and I would recommend checking out their website as they have a superb track record of publishing high quality writing from new local authors. The central character in this novel, Kitty, suffers from synaesthesia, a condition in which feelings are experienced as colours. The youngest of a large bohemian family where she is the only one not to remember their mother, Kitty feels detached. Even her nickname was on hold until the death of its previous bearer, the family cat! Now, drowning in bereavement, Kitty’s worsening psychological condition unravels in distressing ways, as the roots of her family’s dysfunction slowly unfold before her. Thought I’d throw in some poetry by the former Birmingham Poet Laureate. Cut on the Bias is Julie Boden’s second Collection published in Summer 2002. This is a short collection of contemporary work with many references to Birmingham landmarks. Boden’s style is distinct and extremely accessible. A particular favourite of mine is Cafe Rouge which tells of an illicit meeting between a married man and his lover in a restaurant, followed by a moment of passion beneath Alpha Tower. If you grew up in the 1970’s this book will remind you just how dismal the decade was with its strikes, terrorist attacks and dodgy haircuts. The story chronicles the growing pains of four Brummie schoolboys who inherit the editorship of the school newspaper and proceed to put their own spin on the turbulent events of the outside world. Essentially, it is a coming of age novel and an amusing reminder that the 1970s was a period of great social and political upheaval (as well as bad clothes). The Rotter’s Club succeeds in making some serious political points whilst simultaneously entertaining the reader with the exploits of the four main characters: Philip, Sean, Doug and Benjamin. This novel was adapted for the BBC and made an excellent mini-series. Published in 2001 this is a follow-up to Gayle’s well received My Legendary Girlfriend and Mr. Commitment. Matt Beckford is hurtling towards the big three-0 and reckons he’s got it sussed with a good job in New York and a gorgeous girlfriend, Elaine. When his relationship flounders he returns to his parents’ in Moseley and bumps into childhood sweetheart, Ginny. Things proceed to become complicated as Matt embarks on a bizarre transatlantic love triangle involving himself, Ginnie and Elaine. A refreshingly funny, very truthful and also unsentimental read. Antother Brum book that made it to out TV screens. 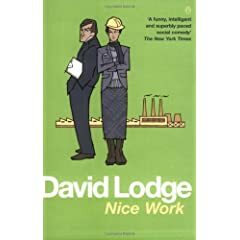 Nice Work is a tale of academia and industry colliding as Robyn Penrose, temporary lecturer in English literature and Vic Willcox, MD of Pringle and Sons Industrial Engineering meet when they take part in an “Industry Year” scheme. The consequences of this ill-considered exercise are often hysterical although probably predictable as we watch the clash between the harsh 1980s world of West Midlands manufacturing and the more leisurely pursuit of academic research and teaching. Birmingham is renamed Rummidge but it will be apparent to anyone who has so much as sniffed a balti that Lodge is writing about the second city.